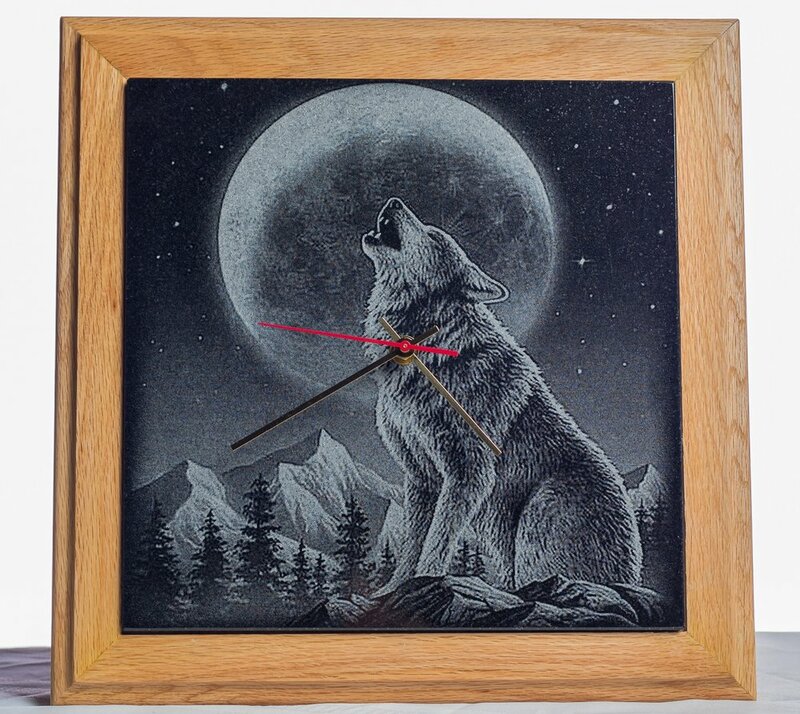 Framed in light beveled wood, our black granite clocks come fully assembled, just add batteries! 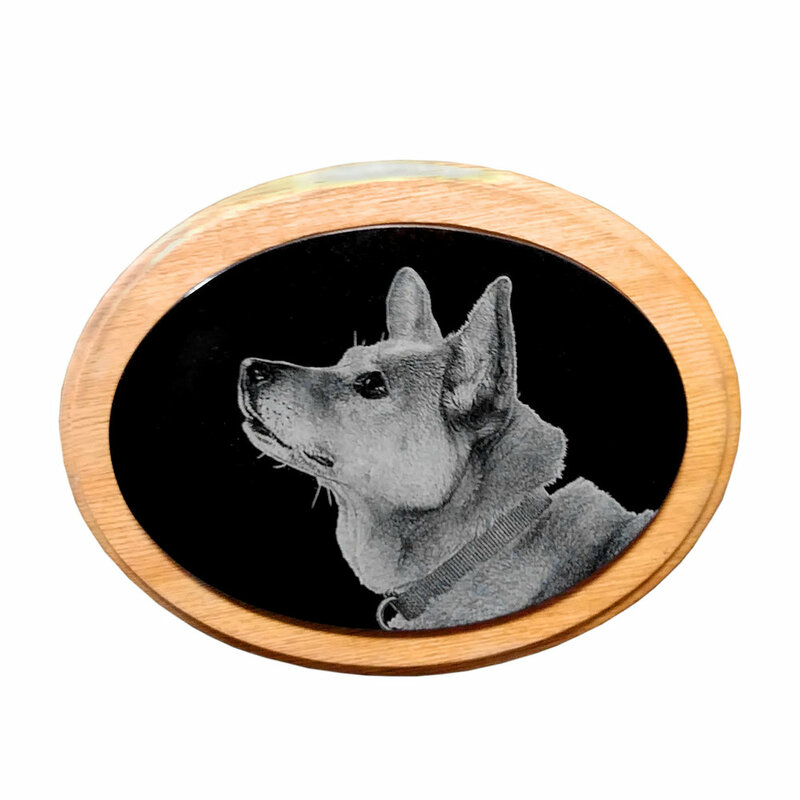 We have a library of designs for etched clocks for just $55 + tax & shipping. Send us an image, and for an additional $25 we will make you a custom clock! 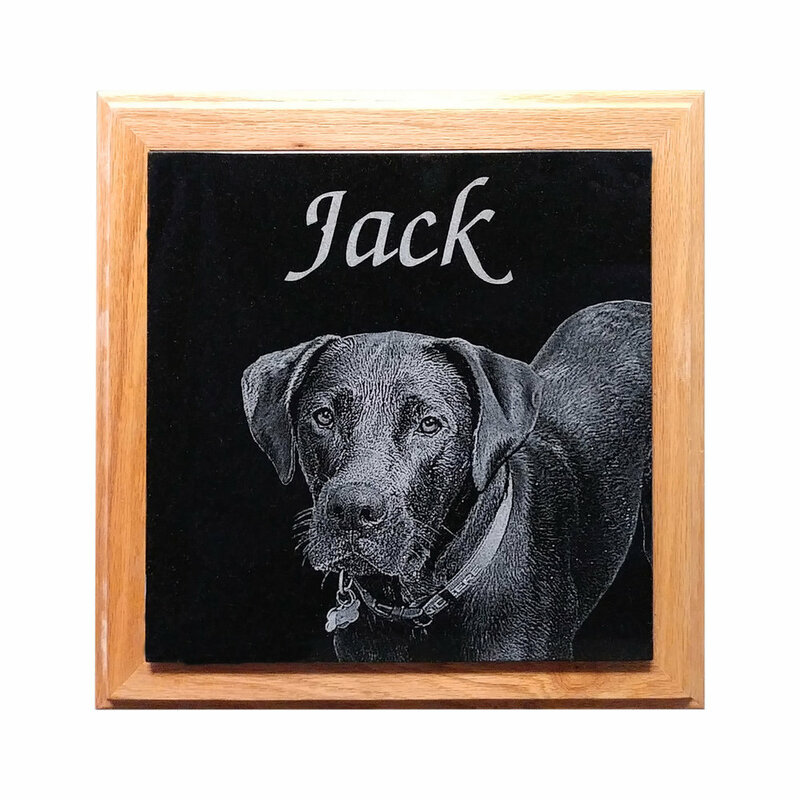 Wood framed black granite plaques can be etched with any image, family photos, landscapes, sports teams, etc! Square, oval, and house plaques available for $50 + tax and shipping. 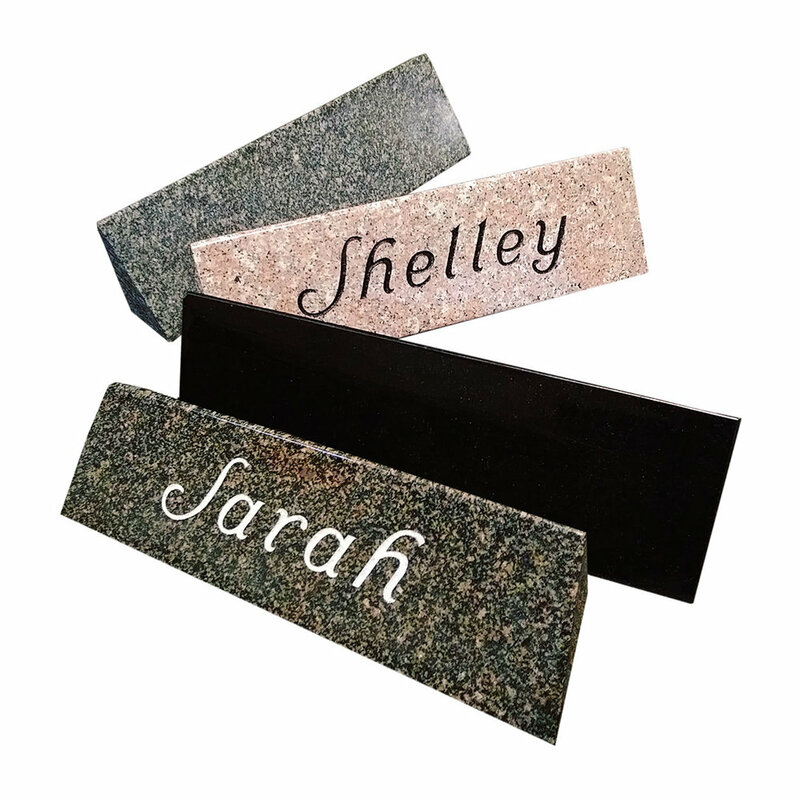 Desk plaques can be sandblasted on any color of stone, Laser etching can only be done on the black granite. Granite topped coffee tables can be etched with any of our laser scenes or high definition photos!